The Clan members can learn the Stronghold construction conditions by opening the My Clan tab and selecting the Clan Stronghold section. Note that the resources and the Scrolls necessary for the Stronghold construction are kept in the Clan Chief's Town. You can purchase Scrolls in the Clan Store for Loyalty Points or as part of Bank offers. Attacks on Uber Invaders also give you a chance to get Scrolls. The chance of getting them depends on the Skills you have upgraded, Knowledge learned, and the equipment and boosts which increase the Hero's military stats when fighting Invaders. 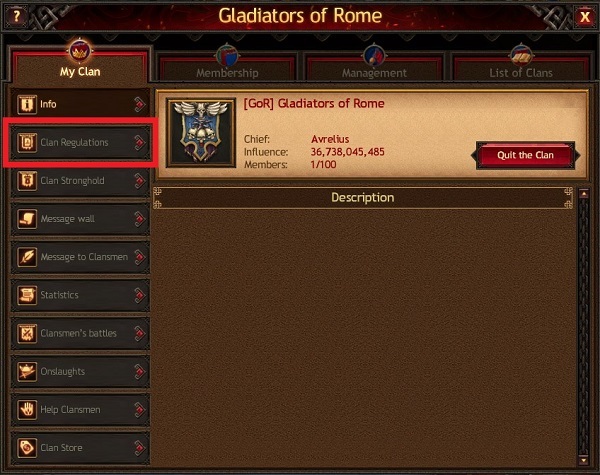 With the “Add resources” button, the Chief can go to the resources window where they can apply or buy resources. Clansmen can use the “Send resources” button to send a convoy with the necessary amount of resources and Scrolls to the Chief’s Town. When all conditions are fulfilled, the Clan Chief can begin the construction. Be careful when picking the Stronghold construction place. If the construction is cancelled, the spent resources will not be returned. Also keep in mind that the constructed Stronghold cannot be relocated. 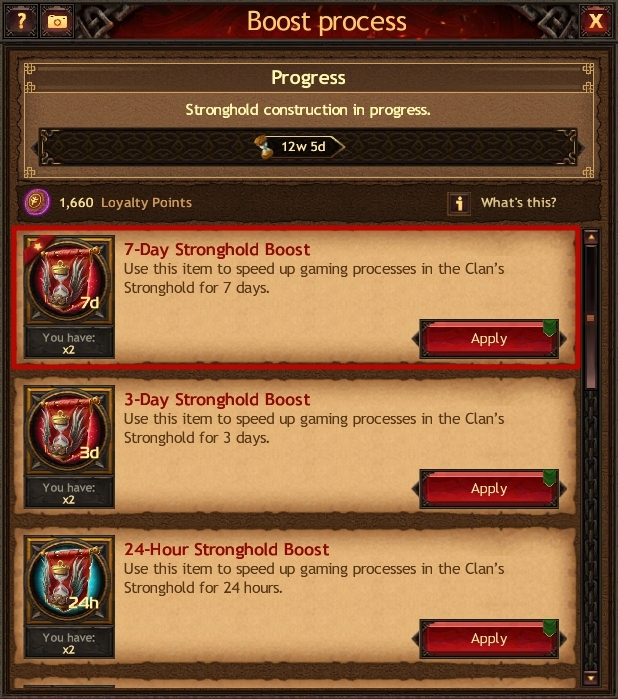 When the construction begins, each Clan member can help to speed up this process by clicking the correspondent “Boost” button and using the Stronghold boost item.